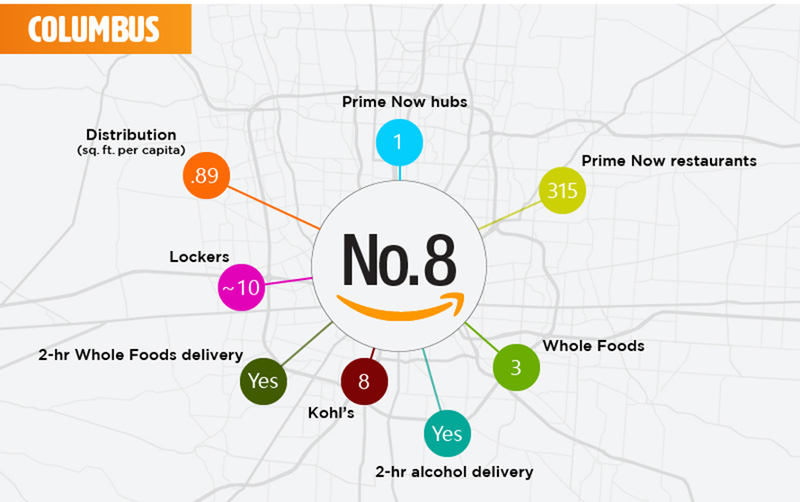 Factors include Prime Now locations Amazon Lockers and Prime Hubs. Los Angeles holds the dubious distinction of being the most polluted city in the U.S.—and having the most traffic congestion in the world. 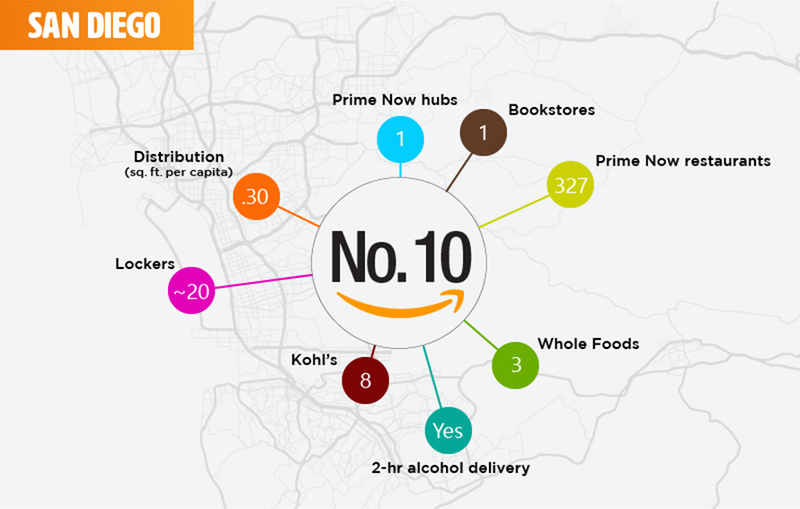 And, if you really love Amazon, it’s where you really should be living. 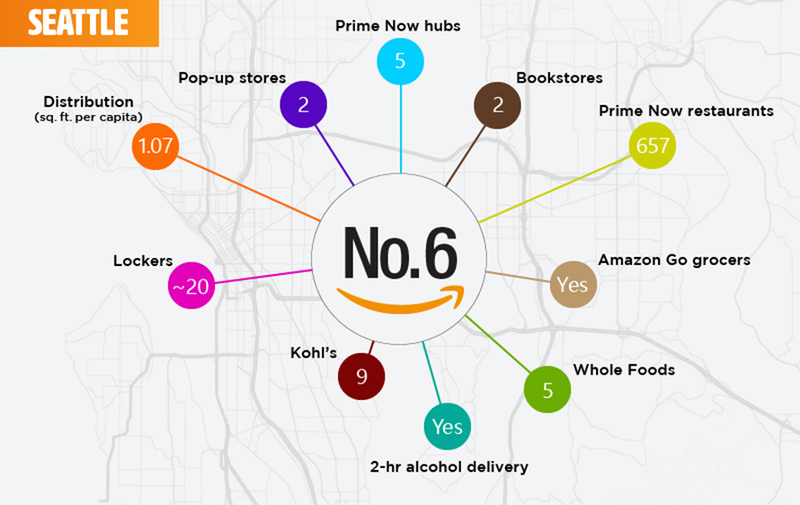 That’s according to a report from packaging company Shorr, which looked at factors like the number of Prime Now restaurants, bookstores and pop-up stores; Amazon Lockers and Prime Hubs; nearby Amazon Go, Whole Foods and Kohl’s locations; warehouse distribution space per capita; and the availability of services like two-hour alcohol delivery to determine the 25 best U.S. cities for Amazon customers. 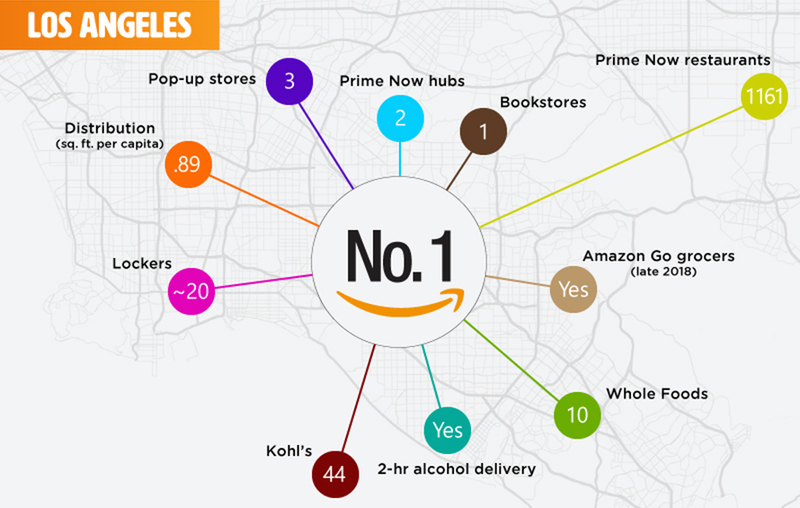 L.A. won out with nearly 1,200 Prime Now restaurants, about 20 Amazon Lockers, 10 Whole Foods stores and one Amazon Books location and, Shorr said, because Amazon Go will be up and running there later this year. 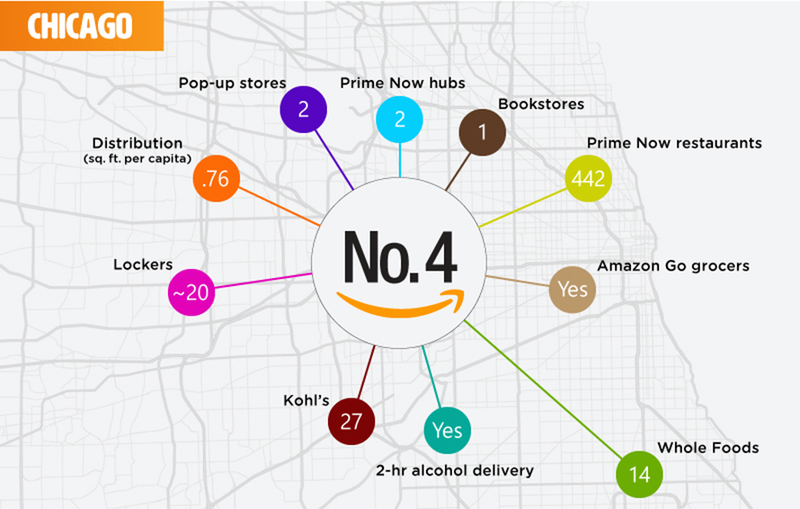 That would make L.A. the fourth city to get an Amazon Go, something the company would not confirm, saying only that Amazon Go is expanding to San Francisco and Chicago, as previously reported. 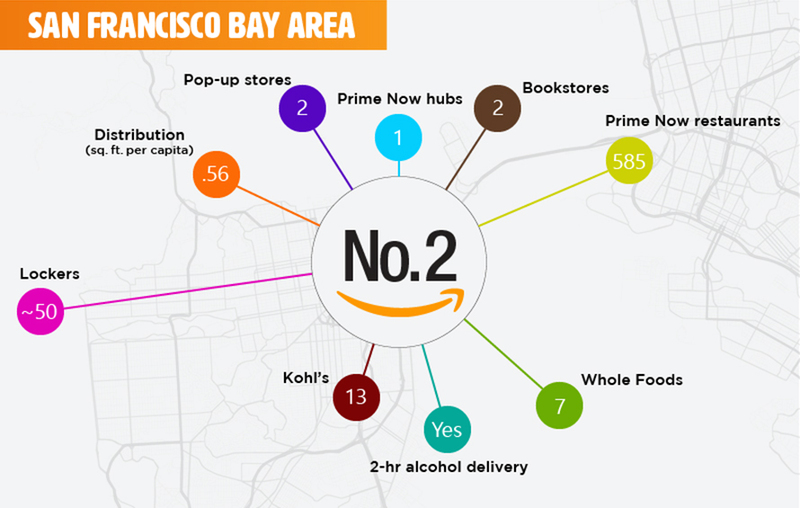 The San Francisco Bay Area was No. 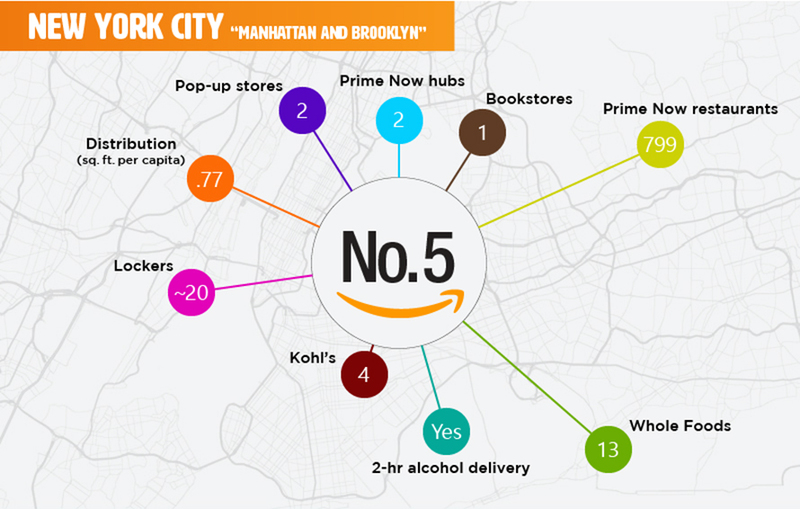 2 on Shorr’s list, followed by Phoenix, Chicago and New York (but really just Manhattan and Brooklyn). 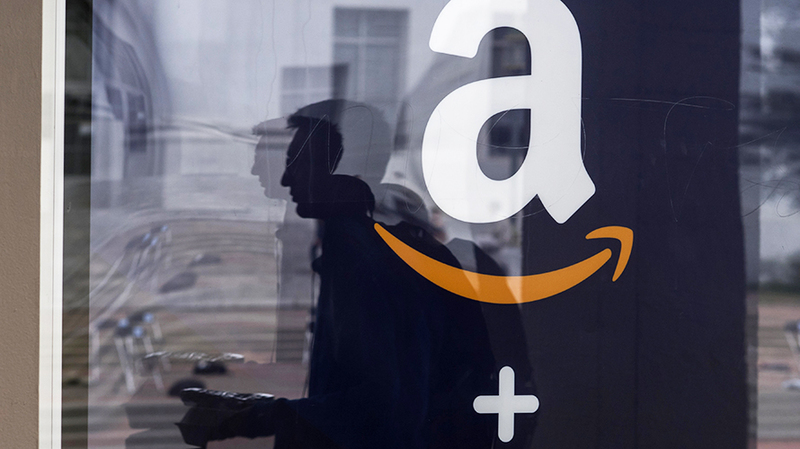 Amazon’s hometown was No. 6. Portland—presumably Oregon; the report didn’t clarify which Portland—was No. 7. Columbus, Ohio, was No. 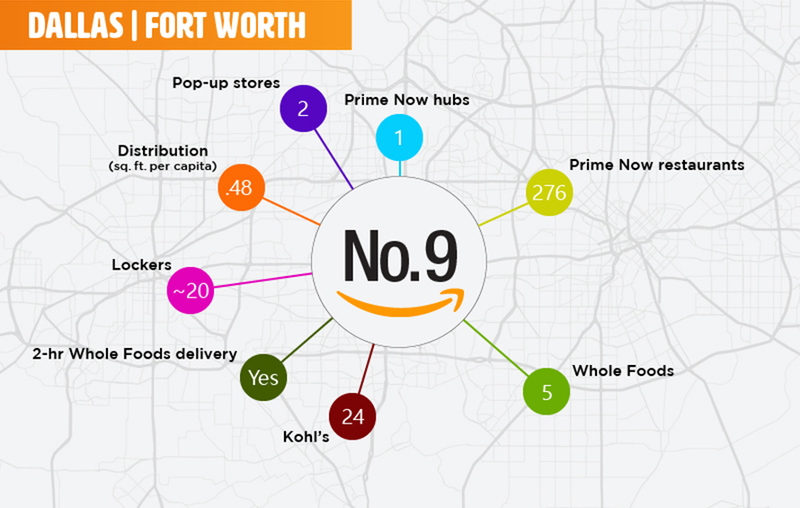 8, edging out Dallas/Fort Worth and San Diego, which round out the top 10. Minneapolis/St. 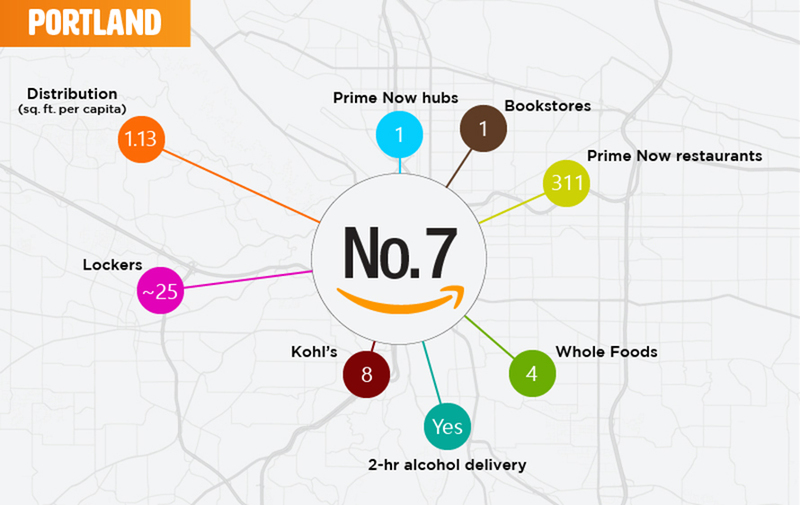 Paul, Baltimore, Houston, Washington, D.C., Denver, Atlanta, Miami, Boston, Indianapolis and Austin,Texas, also made the cut, while Cincinnati, Tampa, Orlando, Sacramento and Las Vegas rounded out the list. 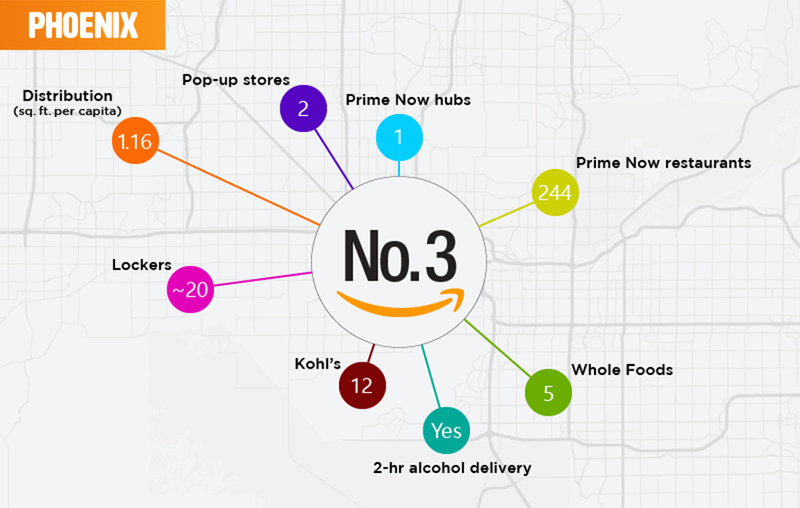 Shorr pointed out that the top five include some of America’s most populous cities, and that Phoenix has a particularly impressive distribution of 1.16 square feet of warehouse space per capita. “In Phoenix, there’s enough Prime facilities to hold loot for every man, woman and Suns fan,” Shorr said in a blog post. 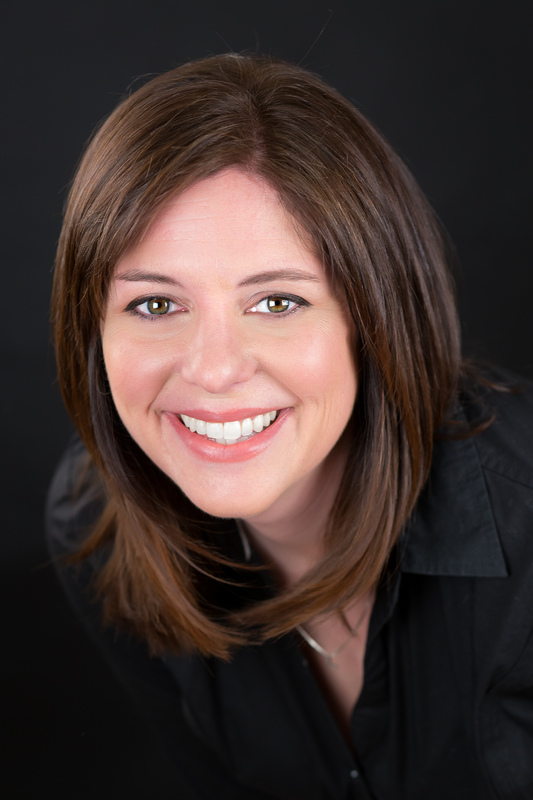 Lisa Lacy is a tech reporter for Adweek.